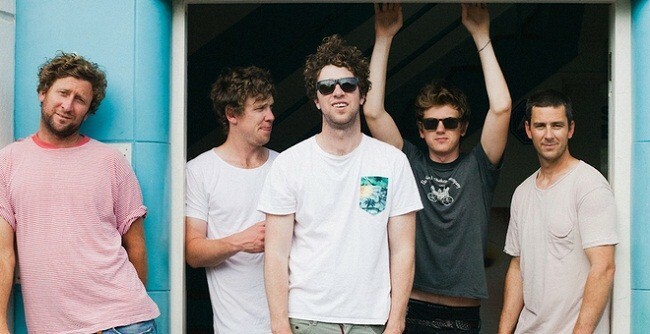 Brothers Simon, Sam and Nick Nolan, and honorary brother Tim grew up in country Victoria; after years spent bonding over music, they did the natural thing and formed a band. Overseas adventures supplied the final pieces of the puzzle: a lead guitarist and new friend, in the form of Melbourne native Dan, and a name, nicked from an E.L. Doctorow novel found in a Costa Rican café. The five-piece started putting down scrappy demos with one foot in the garage and the other in the sunshine, packed with indelible melodies and slacker-pop wit. Early demos Into The Office and the wild-eyed Easy Chairs scored props from the local blogosphere and from triple j tastemakers like Richard Kingsmill (“I’m a convert”) and Zan Rowe (“Killer riffs, total heart, down to earth stories... keep it coming”). all easy chairs and summertime. Smudged with the bleary-eyed new insights that come of hard work and relentless touring - but still built on the boisterous melodies and gleefully ragged riffs that have already proved a winner with Aussie audiences - Loon Lake in 2012 sound stronger, wiser, louder, and better than ever.